In a community property state can you publish a legal notice that "I am not responsible for debts incurred by spouse." Community property state — credit card debt — can you publish legal notice that "I am not responsible for debts incurred by my spouse." Does it work? In the United States, nine states are commonly referred to as community property states; however, ownership and liability issues vary significantly from state to state, even amongst those these jurisdictions. The basic principal behind community property schemes is that a married couple is treated as a “marital community” which operates as a single entity for many legal purposes. For example, if a home is purchased by the couple as the family residence, it may be considered to be owned by the marital community, even if only one spouse’s name is listed on the deed to the property. Also, if a debt is incurred by one spouse, such as a credit card opened by only the husband, and the money is used to benefit the community, such as for the purchase of items for the home, that debt may be treated as being owed by the marital community, not just by one spouse. Although spouses are allowed to own individual assets and incur individual debts, many community property states presume that any property purchased or any debts incurred during the marriage were for the benefit of the community and thus are community property. Because of the complexity and variability of various states’ marital property laws, I strongly encourage you to consult with a qualified attorney in your area to determine how your state’s laws apply to your and your spouse’s financial situation. An attorney should be able to review your obligations and clearly explain your liability for any debts incurred by your spouse. Bills.com also has more information about community property law available online. In regard to your question about publishing a legal statement disclaiming your liability for debts incurred by your spouse, I have never heard of such a tactic being successful is limiting one spouse’s liability for the debts of his marital community, especially if the marital community is still intact (i.e., you and your spouse have not divorced). In some situations, such as the dissolution of a business partnership, the publication of a legal notice of the dissolution can reduce the exposure of a former partner for new debts incurred by a successor partnership. While I have never heard of someone using the strategy you describe, I am not familiar with your states laws, so I cannot tell you with certainty that this tactic would not work to limit your liability. Again, I strongly encourage you to consult with an attorney licensed in your state with experience in family law to discuss your family’s finances and what steps, if any, you can take to reduce your exposure to creditors trying to collect on your spouse’s debts. If you and your attorney determine that you are liable for your spouse’s debts due to your state’s community property laws, you may want to explore the options available to you and your spouse to resolve these debts. Many options exist to assist consumers who are struggling to pay their unsecured creditors, including debt consolidation loans, credit counseling services, and debt settlement programs. 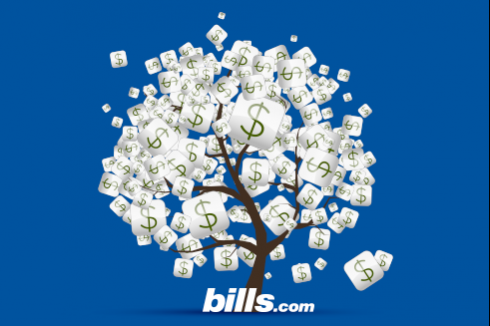 If you would like to read more about the various options available to overburdened consumers, I encourage you to visit the Bills.com debt help page. I wish you the best of luck in resolving your financial difficulties, and hope that the information I have provided helps you Find. Learn. Save.